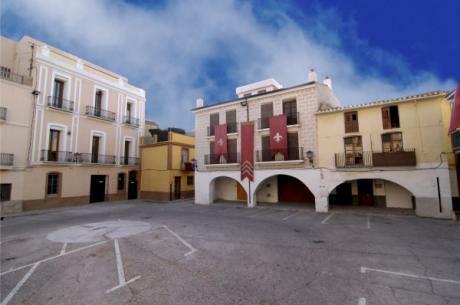 Almassora, which takes its name from the Latin "mansio" (meaning an inn or stopping place), is in the area of Plana Alta in the province of Castellón, on the banks of the River Millars, boasting a privileged location. This coastal town offers many attractions: a peaceful beach away from the crowds, and a whole host of services; the mouth of the River Millars, declared a Protected Landscape due to its ecological importance; a stroll around the old town or "Vila" reveals the roots of Almassora, with buildings of great historic and architectural interest; finally, in the area surrounding the town, also on the banks of the river, we find the Hermitage of Santa Quiteria, situated in an area of great natural beauty, where we can enjoy other interesting features such as the dam and the medieval bridge. A-7 highway through the southern access to Castelln; N-340 and CV-18. The CV-1840 links the town to Almassora 's beach. Stop on the national railway network (RENFE) and regional train lines.